1. The gx53 led light warm white design is in accord with the principle of led lighting, ideal for illumination. 4. Instant start, no flickering. Superior thermal performance, high applicability. 5. Environmental friendly: No UV infrared and other radiation, shock vibration resistant. 6. Long lifespan, stable performance. 7. OEM&ODM service provided for gx53 holder. 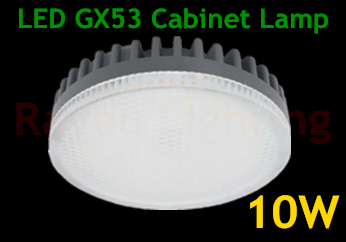 10w gx53 under cabinet light, gx53 cabinet light for hotel inner lighting,widely used for cabinet lighting,garden lighting,residential Institution buildings.